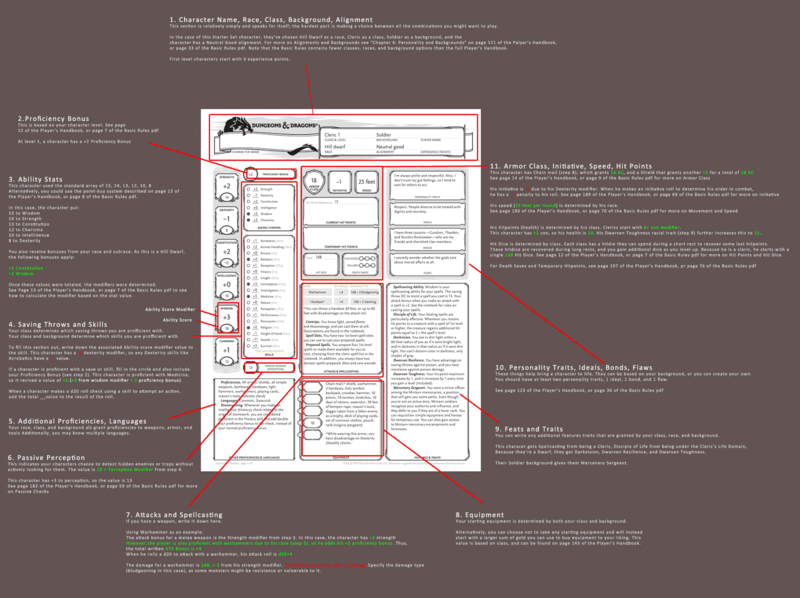 5E Guide to filling out character sheets! I was looking around on the web for better character sheets and these images came up in the google browser. 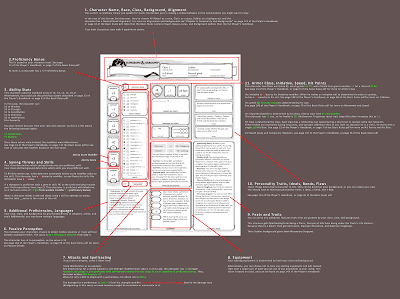 I am not sure who did these and I take no credit for them, but its a really detailed explanation & break down of how to fill out a character sheet for 5e. I know sometimes its not easy filling out these sheets and this break down really helps with each spot on there, especially if you are brand new to the game.